This tea keeps your body healthy and strong throughout the whole year. 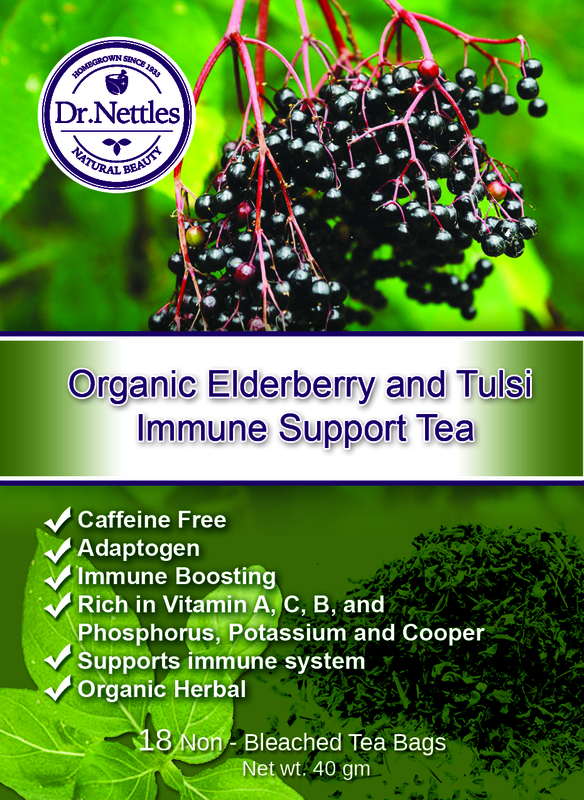 Organic elderberry improves the immune system and calms inflammation. Tulsi is reviving and helps your body feel grounded. This tea is good for nervousness, sore throat, and a major immune booster.